After almost four hours of fishing I could take no more! Using my favourite excuse that really I needed to spend some time concentrating on photography I reeled in and unhooked yet another brace of 8lb cod, plopped them back into the sea, put my rod into a safe corner of the boats spacious cockpit and sat back; exhausted! It was the first day of a three day recee trip to check out a new fishing camp I’d been invited to stay at in Flateyri, a small fishing village tucked away at the base of high mountains on the northern shoreline of Onnundarnfjordur in the far north west of Iceland. 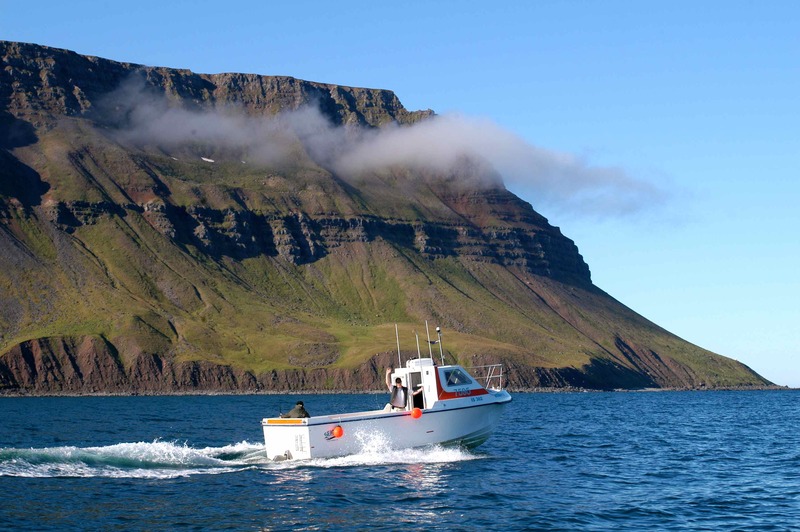 The North West Fjords, as this are is known, is a remote, unexploited and truly beautiful area of the sea angling Mecca that is Iceland. Iceland is a country where during my many previous trips fishing over many years I have come to expect and accept that the catching of large quantities of quality fish is more the norm rather than some exception, and already I could see that the unbelievably high standard of sport was indeed as prolific as usual. 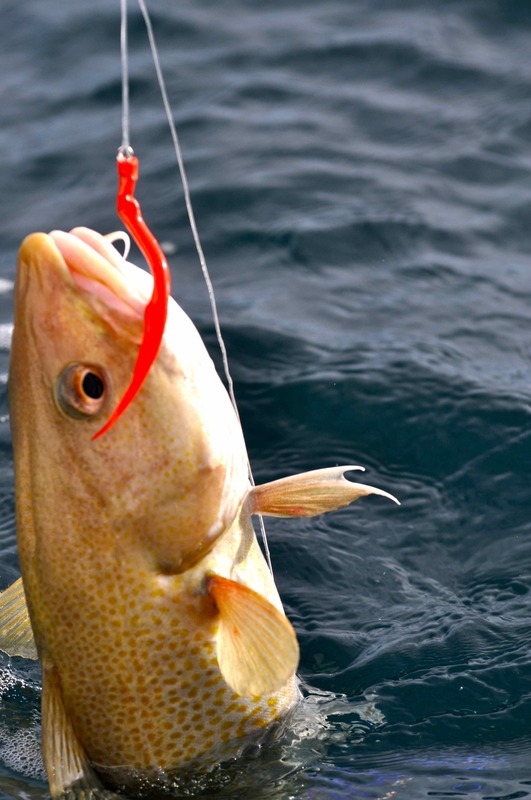 Truly Iceland is a place where catching what can only be regarded as ridiculous quantities of prime cod and codling, typically fish that average between 4-12lb, is a daily occurrence. 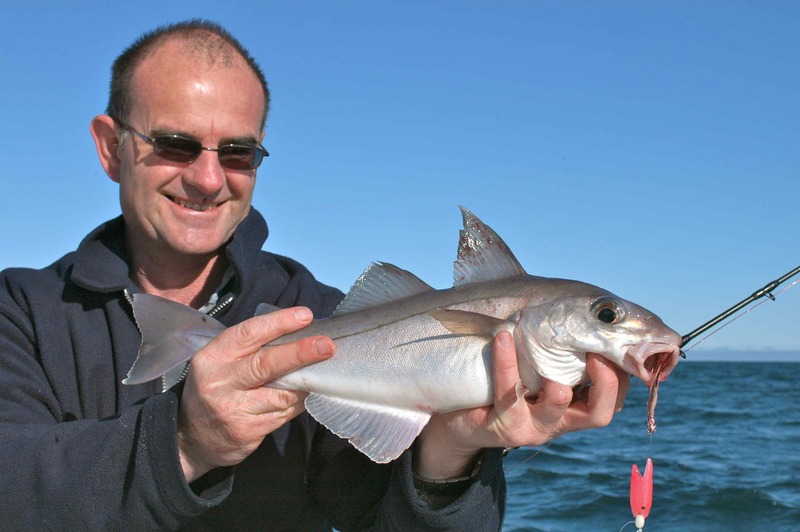 It’s a place where plump, purple flanked haddock, a species that sadly we seldom see here in the UK these days, are often caught with equal abundance. 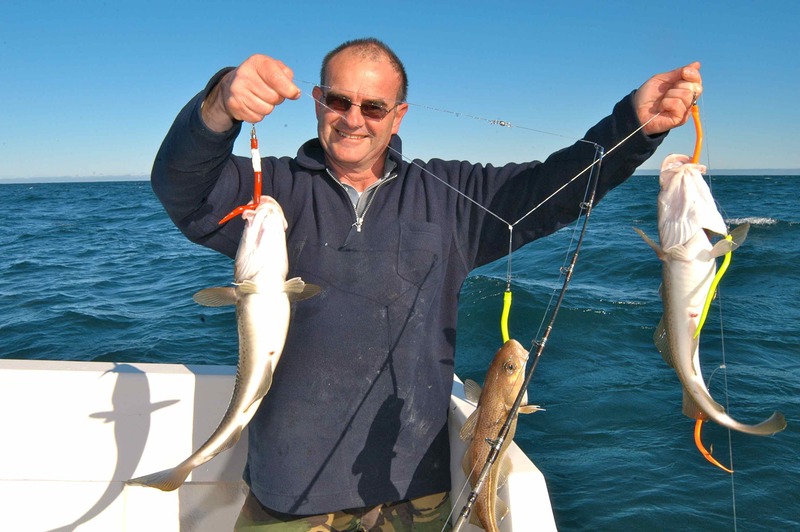 Coalfish can almost be regarded as a nuisance, but persevere and play the numbers game and it’s a fair bet you’ll add the likes of wolf fish, redfish, jumbo sized whiting and even halibut to your daily species list. And so it was on that first morning as we slipped out of Flateyri’s sheltered harbour aboard the superb self-drive that had been assigned to us, and headed first west and then a tad south to a patch of broken ground about a mile offshore that lay in 30m of water off the mouth of Dyrafjordur, the adjacent fjord lying just to the south. Already I had primed my travelling companion Terry Smith, who was on his first trip to Iceland, that he should expect the fishing to be fast and furious from the start, but even I was amazed at just how fast and furious it was that late September day! It was a bitterly cold day with the first of the winter snowing covering not just the high peaks but also the lower slopes of the mountains, while offshore a hefty swell combined with a brisk wind to create sea conditions that bordered on the uncomfortable. But we had a good boat and the lumpy sea conditions were quickly forgotten when within seconds of dropping our assorted pirks and strings of lures over the side, bouncing rod tips all round confirmed that yes, that bright red cloud of red we had seen hovering just off the bottom on the cabin fish finder screen was indeed fish; and they were feeding! 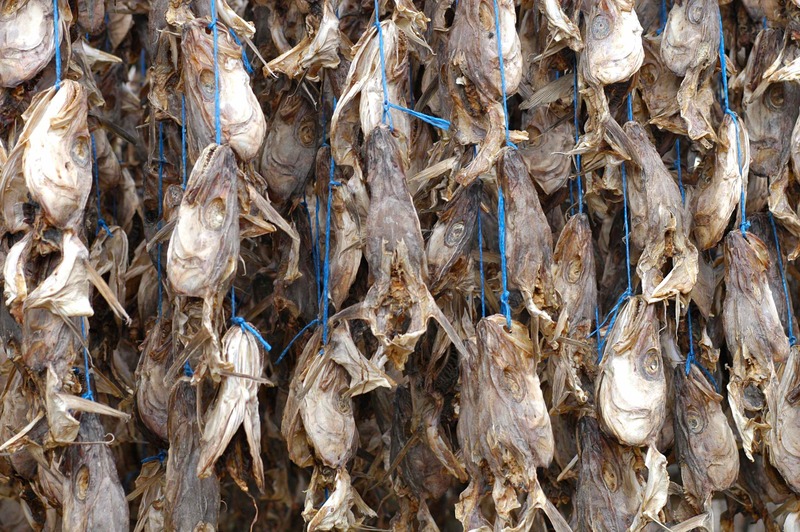 Whose for a cod’s head, they eat some weird stuff in Iceland! 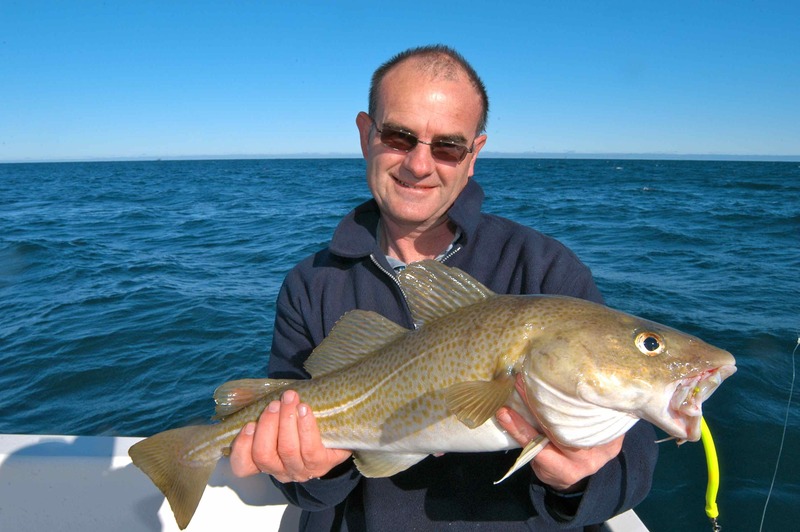 During one of my very first trips to Iceland an old skipper we used to fish with out from Reykjavik gave me a lesson in catching northern Atlantic cod, a lesson that at the time bordered on the embarrassing but has stuck with me ever since. By Icelandic standards it had been a slow mornings fishing, with our crew catching just a few fish here and there. All along the skipper had insisted that there were plenty of good fish beneath us, and that we simply were not catching them. Eventually he could resist it no more and left the wheelhouse bringing with him an old and battered rod and reel rigged with a rusting pirk and a string of the most basic cod lures you could imagine, you know the type, 6in sleeves of rubber tubing mounted on zinc plated hooks with a bent shank that usually are attached to a swivel. Of course not one of us thought for a moment he would do better than us with our brightly shining, fresh out of the packet, chrome pirks, muppets, rubber sandeel’s and colourful jelly eels, but during the course of the next half an hour that old skipper out fished each and everyone of us by a significant margin, before quietly unhooking one final string of double figure cod, hanging the pirk on the bottom ring of the rod and without a word returning to the wheelhouse. The next morning saw a line of us waiting for the tackle shop to open before we went fishing, and guess what we wanted to buy! 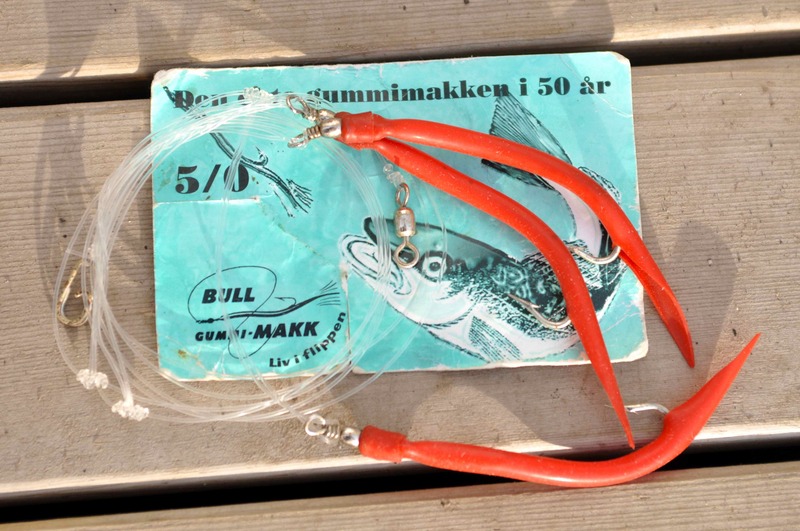 These days I always carry a few packs of these lures on my trips to the far north, they are called ‘Gummi Makk’s’ and are deadly for cod, haddock coalfish and just about anything that takes a lure in those frigid northern waters. Especially when fishing in Iceland these are a favourite of mine and while on most occasions they fish no more or less effectively than the countless other varieties of artificial I see my fellow anglers use, I remember that early lesson well and each and every time a consign a string of ‘Gummi’s’ to the deep friend and my rod tip starts to bounce I say a quiet thank you to my old friend! Don’t forget your Gummi Makks! We didn’t catch any of the larger cod the area is noted for that day or during the remainder of our brief stay, which really was hardly surprising given the overwhelming numbers of fish we caught. I honestly couldn’t put a number on just how many cod we caught, but it was the sort of figure most British anglers could only sit and dream about. But don’t think that fishing in Iceland is only about catching small to medium size fish: far from it. This last year, for example, visiting anglers have taken respectable numbers of 20, 30, 40 and even 50lb cod with the biggest fish recorded tipping the scales at a staggering 70lb+! Huge halibut weighing hundreds of pounds, too, are caught hereabouts each year, and everyone you talk to who has fished here tells of veritable leviathans they have seen that have been hooked and lost. The problem with fishing for cod in Iceland is unique, there are too many fish! Icelandic cod like Gummi Makks! Iceland is one of my all time favourite sea angling destinations, it’s a place I always look forward to revisiting and fishing, even if invariably I do feel like I’ve spent 8 hours or more working out in a gym at the end of each day! This new camp at Flateyri is undoubtedly set to become one of the countries top angling destinations, thanks to a winning combination of being sited at the perfect location, the incredibly high standard and reliability of the fishing and what are certainly the finest, best equipped self drive boats I have used anywhere. 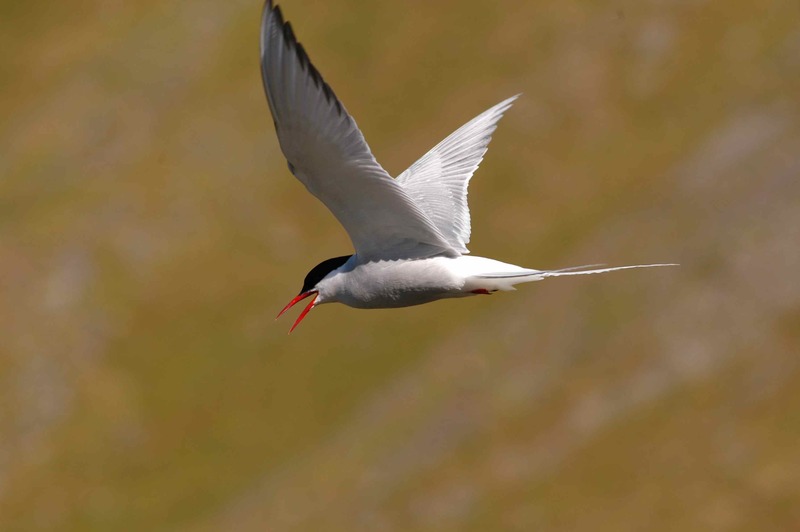 Best of all for British anglers the Icelandic Krona is currently very weak, and is expected to stay that way for the foreseeable future. Consequently exchange rates are excellent so there has never been a more affordable time to visit Iceland; see you there next summer! 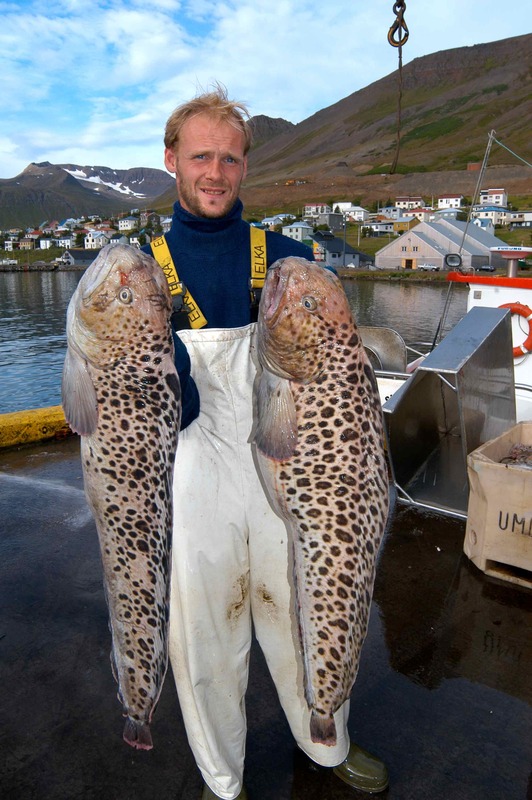 Spotted wolffish caught commercially in Iceland, I want to catch one! I’ve run charter boats in the Atlantic and Gulf of Mexico for 25 yrs. currently I run the Fighting Chicken docked in ocean springs MS. Gulf fishing is excellent for red snapper , grouper , amberjack , tuna etc. 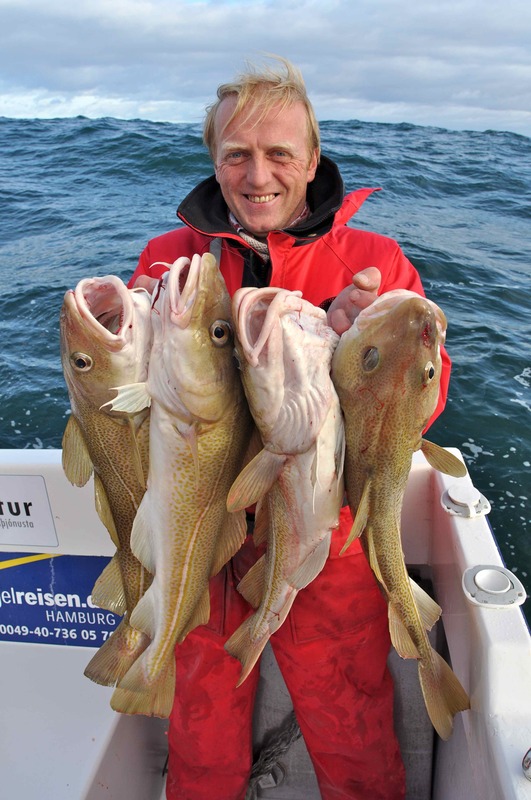 I am interested in heading to Iceland for cod and other bottom fish. Any advice or info can you give me on who to go with would be greatly appreciated ! If you have any interest in the northern Gulf of Mexico I can certainly help . I’ll send you an email with some information that might be of help. 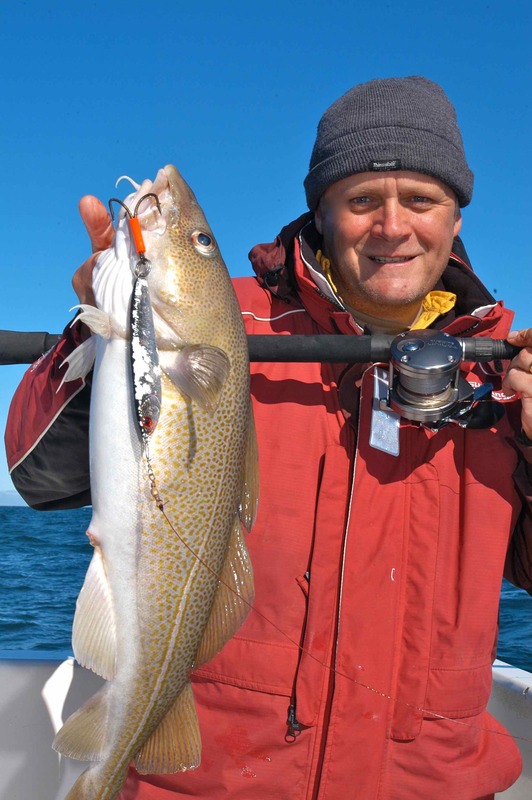 Hi Dave, many thanks for a cracking article and an insight into Iceland Fishing. 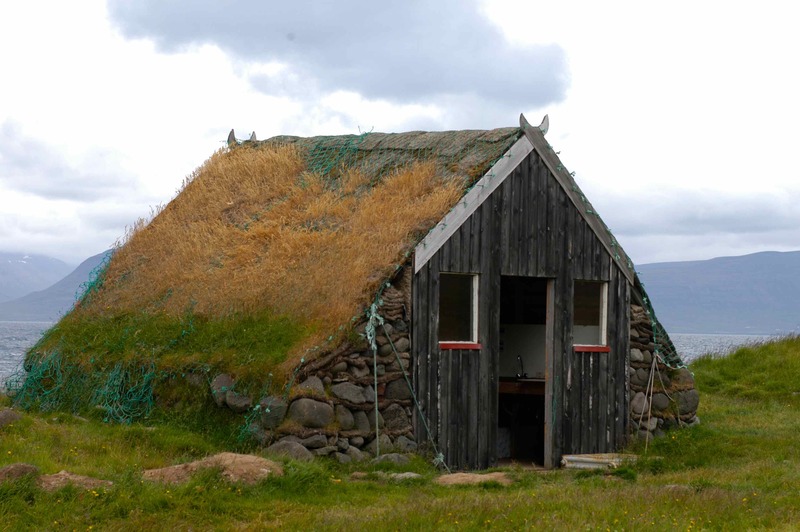 My friends and I are planning a trip there next June/ July for a week of self drive fishing as you have described and a couple of days at the big Icelandic Trout too. I’m going to take lots of notes and take plenty photos of the trip and hopefully let you know how the trip goes. Many thanks once again for the extremely valuable information. Remember Dave, you still have a standing invitation to fish the Gulf out of MS on the Fighting Chicken. Try to head this way when you are in the states .